Fedora 29 : The most common BIOS commands. Fedora Distribution has many things that many overlook in the maintenance process. Today I will show you some commands for your BIOS. These are fairly common and are fairly recent. The last one I used with Fedora 29 is biosdecode. The dmidecode and biosdecode commands are Linux distro independent and preinstalled in most of them. Let's see commands that depend on hardware. The vpddecode command for IBM and Lenovo hardware only, the vpd stands for vital product data. The ownership command is for only Compaq hardware, to get Compaq specific ownership tag info. Fedora 29 : Using pytorch on Fedora distro. The goal of this tutorial is about how to install and start using the pytorch python module. Another part is to show tensors without using matplotlib python module. The reason I wrote this simple tutorial and not on my python blogger is Fedora distro. The python module named pytorch is based on Torch, used for applications such as natural language processing. The installation of pytorch into many operating systems can be tricky. You cannot use the pytorch into pytorch folder. 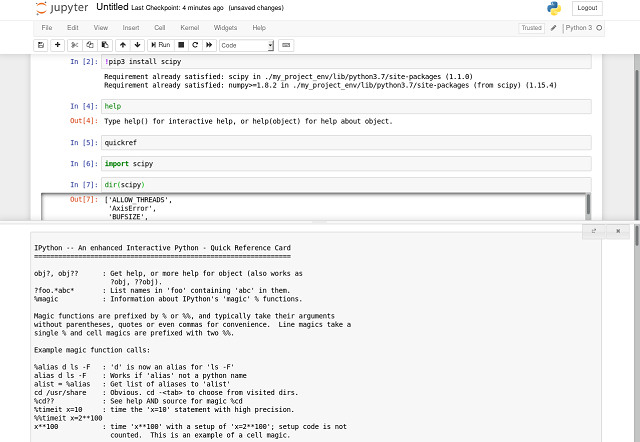 [mythcat@desk ~]$ python -c "import torch; print(torch.__version__)"
Fedora 29 : Python 3 and Jupyter notebook. Today I tested the Jupyter Notebook with Fedora 29. First I check with DNF tool the update and the upgrade of the Fedora 29 distro. You can see I created a new notebook with Python 3. 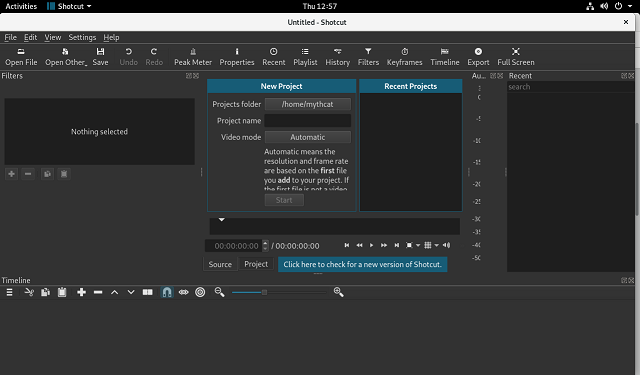 Fedora 29 : Shotcut video editor. Today I tested the new software video editor for Fedora 29. This video editor is named Shotcut and come with a new released 18.11.18 available here. I download and unarchive this software from the official website. The first error comes from libnsl packages but finally, all worked well. Last metadata expiration check: 0:23:04 ago on Thu 06 Dec 2018 12:31:08 PM EET.